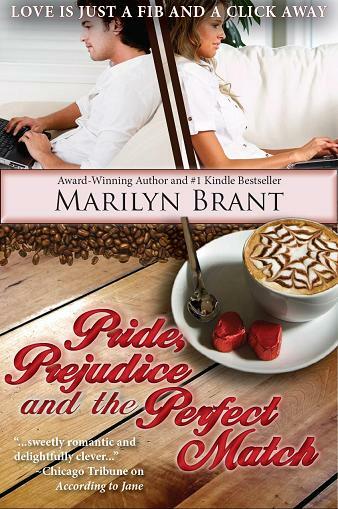 My good pal, Marilyn Brant, is over at the Girlfriends Book Club today talking about Pride and Prejudice. It seems the novel turns 200 this month, which is hard to believe, as timeless as it is. I can’t think of a more beloved novel (among women, anyway) or a work that has inspired so much fiction, so many copycat heroes (The Boyfriend of the Month Club, anyone?) or so much sighing over a character (calling Mr. Darcy, please!). Thank you so much for this book shout out — that’s so sweet of you! And I have a hard time believing P&P is 200 years old… Like you, I think Austen’s writing makes the story timeless. And you know I loved your nod to the book in The Boyfriend of the Month Club :). I started reading your new book last night. I’m loving it!